With lethal terrorists on their heels, Austin and Sophia must embark on a covert operation. But it will mean placing Sophia even more in harm's way—a sacrifice not even the steel-hearted SEAL may be able to make. Exciting from the first page and filled with lots of mystery and a touch of romance to grab our attention. The characters are a pleasure to get to know. The ending seemed really abrupt, but we did get a small look into what happened afterwards with an epilogue. Looking forward to more to come in this new series! 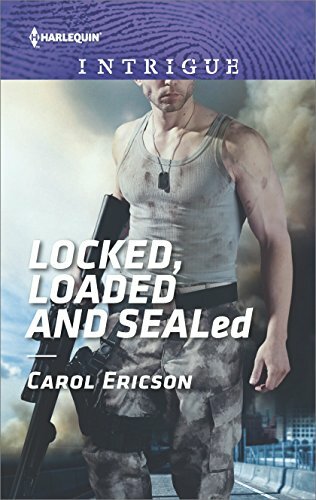 Navy SEAL Austin Foley was sent on special assignment to protect a doctor who had put himself in danger previously to help the good guys, but before he can make it there, the doctor winds up dead and his protege Sophia Grant is in danger! Sophia has no idea what the killers think she may have. She didn’t know anything about her mentor’s secret mission and can’t give them secrets she doesn’t have! As bodies start piling up, they race against danger to try to figure out what information got the doctor killed and how they can stop the terrorists. Along the way, Sophia and Austin grow close and can’t imagine walking away from each other when this whole mess is over … will they get the chance to see what the future holds or will the bad guys find them first?